In my many years of driving throughout Indianapolis, I feel like I can count on one hand, how many times I’ve made it through a green light on northbound Keystone at Kessler. And each time I sit at what seems to be an excessively long red, I ponder “so what’s the deal with the random tombstone?” From the road, the tiny cemetery provides the curious with precious few answers. Unless you were to be walking by, there is no quick place to stash one’s automobile while you investigate further. And for some reason, at least for me, that particular intersection is one of many in the city that fills me more with a feeling of “please let traffic move through here at a reasonable rate,” rather than a “I’ll park my car a few blocks from here and wander over to have a look.” However, partially encouraged by Steve Campbell’s “What’s in a Name – Sargent Road” article, this week I finally had my look. And ended up with a slightly more macabre story than I had imagined. 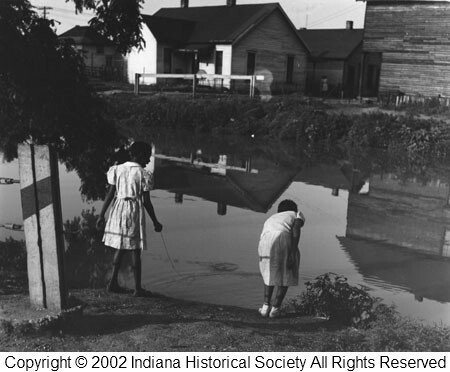 The small plot of land on the southeastern corner of Keystone and Kessler sat undeveloped and neglected until the intervention of a little old lady from Pasadena Kokomo in 1984. Dorothea Wood Sargent had been married to John Jacob Sargent, a WWI vet and descendant of the prominent, land-owning family for whom Sargent Road is named. John Jacob, incidentally, was the great-great-great-grandson of John Sargeant (1710-1749) a missionary from Stockbridge, Massachusetts who was the subject of a Norman Rockwell painting, left unfinished by the artist’s passing in 1978. Though his historical star has faded, it was the 16th century Sargeant who converted the Mahican tribe to Christianity at the request of Chief Konkapot. Returning to the 20th century, husband John Jacob Sargent told wife Dorothea of his family’s historic cemetery, or rather, what was left of it. That empty lot at Keystone and Kessler was all that remained of one of Indianapolis’ earliest cemeteries. 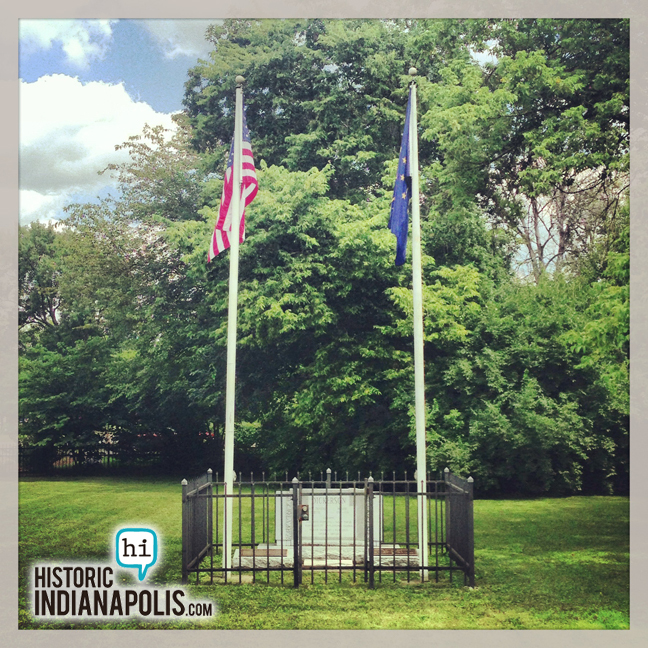 Zipping back to the 19th century, in 1835 early Hoosiers Hiram and Mary Bacon deeded land to Washington Township for the specific purposes of creating a cemetery. In what would be called the Bacon Cemetery, a Revolutionary War veteran named Hezekiah Smith was the first soul interred in the land, “far north of Indianapolis.” Two more cemeteries were established to the east of the Bacon Cemetery– the Dawson and Culbertson, closer to what is now Rural Ave. However, when Crown Hill opened in 1864, many of the bodies were relocated to the city’s premier resting place, leaving the Bacon, Dawson and Culbertson Cemeteries behind. Enter one George Edward Kessler. One of the early 20th century’s preeminent landscape architects, the German- born Kessler had already led Indianapolis’ Parks Commission for six years before stepping down in 1915. He was hired once again to develop a belt road for the city’s northside. Actually, he was in Indy supervising the construction of said thoroughfare when he died in 1923. This meandering beltway was named Kessler Boulevard in his honor. Kessler, before he was in need of an undertaker, ironically, opted to route his road DIRECTLY THROUGH our little cluster of cemeteries, paving directly over graves that had not previously been relocated to Crown Hill. In grand “Poltergeist” fashion, many of the surrounding houses were developed directly atop the forgotten graveyards. Why that little plot of land on to corner remained undeveloped remains unclear. Back to Dorothea. In 1984, Mrs. Sargent took it upon herself to spare what was left of the Bacon Cemetery. Another set of Sargent decedents, the Dickersons were believed to be buried at that spot, including Robert Dickerson, a private in the 2nd Virginia Regiment of the Revolutionary War. Dorothea raised $3,400 from members of the Daughters of the American Revolution and erected the monument and flag poles that exist today, burying John Jacob there after he passed in 1991. A serious letter-writing and phone-calling campaign to Washington Township put the cemetery back under the care of the township’s trustee’s office and what was once a neglected empty lot full of broken bottles turned into a well-groomed memorial to a few of the city’s oldest residents. *Editors Note: This article spurred so much discussion, Ryan wrote an update with additional information. 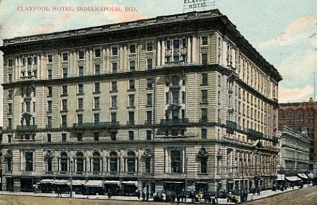 Tour Indianapolis… 4 days after Titanic sank- courtesy Y.W.C.A. In regard to straightening out the story on the Bacon Cemetery; the replies from my cousin, Lynne Sargent Helm and earlier replies from me are all factual as far as the knowledge we have. John Jacob Sargent is not buried at the memorial and headstone in the Bacon Cemetery. He is buried in Oaklawn Memorial Gardens in the garden of Sermon on the Mount, Lot 45D, Grave 3, His first wife, Henrietta Wurgler Sargent is buried next to him and Dorothea is buried in the same plot area. The plaque at the memorial claiming that John Sargeant the missionary and the Norman Rockwell connection have no credibility in the family history, oral or written. The Sargent road, neighborhoods do exist. Sargent stream, never heard of it! The Sargent airport is a misnomer other than the little bumpy dirt two track that went down the side of my grandfather, Walter Sargent’s cornfield . My grandfather was John J. Sargent’s brother. 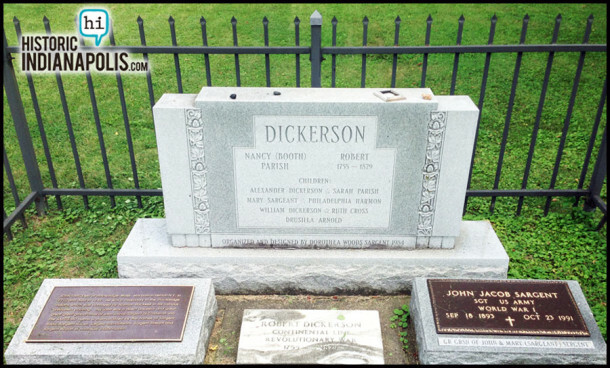 The Dickerson connection is probably true but why our family never moved their graves is a mystery to me. I need to prove the Dickerson connection myself. It would not be in character for the family to leave these graves behind as the Sargents were founders of the Ebeneezer Lutheran Church and I know from old stories that they guarded graves of those deceased and had great respect for family members who had passed. The fact that the Dickersons were left at the Bacon cemetery encourages me to do my own geneology to find out if , in fact, they are ancestors. I have tried to find out who or what TWSP means , township? It doesn’t really make any sense. Apparently, dear Uncle John was not pleased with her spending this money on a memorial to his ancestors! The DAR connection is nothing more than a tremendous desire that Dorothea had, to be a member of the DAR. After she did the research to find proof of Robert Dickerson’s Revolutionary War service, she then learned that the DAR connection must be through lineage and not marriage. She was deeply disappointed and informed me of her disappointment in 1974 when I was visiting Uncle John. She was anxious to inform me that I could be a member of the DAR . The strange thing about researching Dickerson is why she did not soon discover the other GGGreat grandfather on the maternal Sargent side, Jacob Ringer, who is buried at Ebeneezer and has a Veteran’s headstone describing his Revolutionary War service. Sooo… are you saying there are current homes there that were built on top of graves? Wow, I guess there are. This is interesting, and horrible. 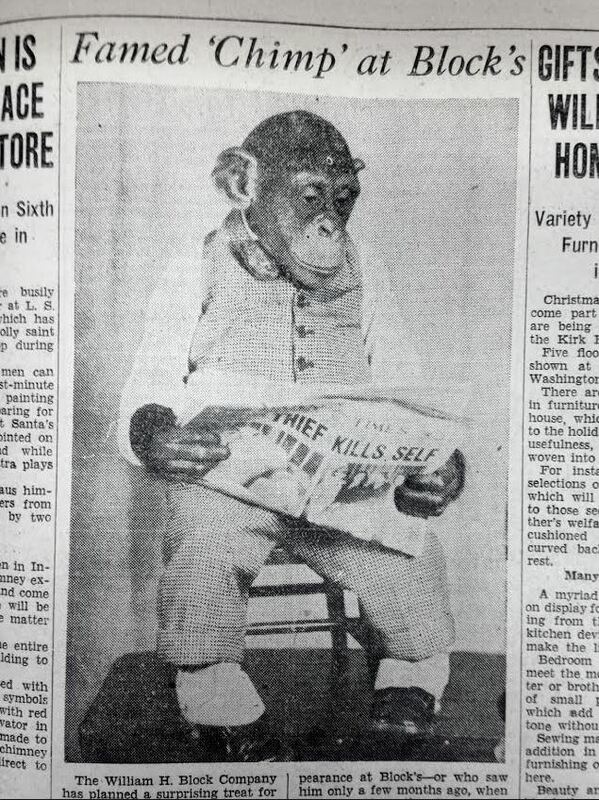 That very article happens to be one of my sources for this one actually. There must be something into the air since I was literally googling that memorial this morning after having seen it on Sunday while riding the State Fair Shuttle. Thank you for the story since that adds to what I found online. Very interesting. Did you find any reference to whether these Sargents were related to John Singer Sargent, the late 18th and 19th century painter who was a descendant of Massachusetts Sargents? No positive connection that I’ve come across thus far. There is the slight difference in family name (Sargent v. Sargeant) but that exists between the missionary and the WWI vet interred in Bacon as well. I think it’s very possible, but have yet to find anything definitive as of now. I’m the historian of the neighborhood that surrounds Bacon Cemetery and give talks on Bacon and Bacon Swamp. 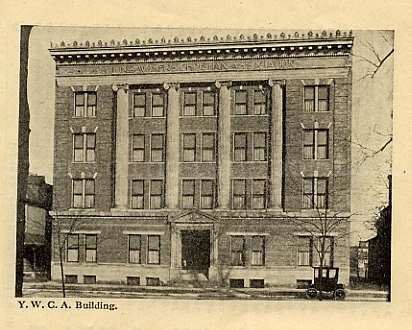 It’s true that he and his wife gave the ground to “the citizens of Washington Township as a burying ground forever.” In addition, he established a station on the underground railway near his house and hosted Henry Ward Beecher in said house on what is now the northeast corner of 56th and Keystone. Thank you Alice! I’m planning on touching upon the Underground Railroad in a future article about the Slipper Noodle Inn a few weeks from now. Thanks so much for this article. We live 2 blocks from this cemetery and have often wondered how it came to be on such a busy intersection in our many strolls and bike rides through this intersection. Hezekiah Smith has a military headstone and DAR marker in Section 2 Lot 135 at Crown Hill Cemetery. Though I can’t be sure, because he was born on April 18, 1753, I think of him as the “oldest” person buried at Crown Hill. (He died on April 24, 1824 and was moved to Crown Hill on April 10, 1868.) I don’t know of any one else buried there who was born any earlier; the only other known Revolutionary Soldier buried there is John Morrow, who wasn’t born until 1760. But then I haven’t examined all of the records either. Hiram Bacon has a large marker and family lot in the middle of Section 3 more or less behind Richard Gatling’s monument.. Thank you Tom. It’s interesting that “they” would relocate Smith and Morrow to Crown Hill and leave Dickerson behind, if that is indeed what happened (if he’s really down there). I’m also curious if Bacon was relocated from his own graveyard or interred at Crown Hill from the start. Ryan, Crown Hill’s records indicate that Hiram Bacon died on June 7, 1881 of Cholera and was buried two days later. Mary Alice Bacon had been buried in the same lot on March 23, 1865, less than a year after the cemetery opened. I didn’t have time to look to see if she might have been moved from another cemetery or if she had also just died. But often in those days if families were moving loved ones, the records would indicate several burials all on the same day and there is nothing like that for the Bacon family. I can’t tell you anything about the Dickerson family. The decision to move a loved one would have been a family choice. I’m sure economics could play a role in making the decision, but so could a lot of other factors. Very true about the Dickersons. I suppose just because he was a Revolutionary War vet doesn’t guarantee there were the means or the desire to move him. Thank you taking the time to look into the Bacons! Very interesting, thanks! Now how about some info on the cemetery on Fall Creek Road near Hill Crest Country Club? I’ve been told that it was a segregated cemetery for African Americans in the late 19th century. Thank you for solving a mystery I never took the time to investigate myself! Anyone know about the chestnut tree there? If you drive by in June, you can smell the very fragrant blooms. I’m president of the Indiana chapter of the American Chestnut Foundation. I have yet to stop by and look, but I believe it’s probably a Chinese chestnut. Regardless, chestnut trees aren’t what I would call “common” and thought it curious. Amazing……thank you for the research and article. I grew up on 57th street just east of Keystone and never stopped in to investigate. Growing up attending Merle Sidener school # 59 we used to ride our bikes on dirt paths between the school and Glendale mall with small chunks of concrete here and there. There was also a foundation right next to school playground I was told was a church long ago? I am the great niece of John Jacob Sargent; the grand-daughter of his brother Walter Leander Sargent. The Sargent family is my maternal family. I find your research and article fascinating and I have some information to add to your research which might up end much of your conjecture. My cousin, another Sargent and I would like to make sure that this so called mystery is reported as accurately as possible with the knowledge that we have of our family history. I spent my early childhood on the Sargent family farm and later as a teenager and young adult I visited the farms and family regularly. I have always been very interested in the family history and would like it to be reported as accurately as possible. Hello — Just a note to suggest you should take any “research” or information presented as “fact” by Dorothea Wood Sargent, now deceased, with a grain of salt. This woman, who involved herself with John Sargent in his elderly final years, had an overwhelming desire to become a member of the DAR, and apparently thought she could marry into such status. Not true, of course. My dad, Karl E. Sargent, was the son of Walter L. Sargent, John Sargent’s older brother. I can assure you much of the info spread around by Dorothea about paintings by the famous is not taken seriously by Sargent family members. It certainly wasn’t my intent to draw out any issues within the Sargent family, but to explain why there is a tombstone fenced off at a busy intersection. I’ve edited one word out of the article to appease your first point. As for the last comment about paintings, I’m not sure I understand what it is that you’re saying. It appears the Bacon cemetery “tombstone” for John J. Sargent was/is for show, if not to downright mislead. I don’t know about the other tombstones there, but have my suspicions. Walter Sargent’s younger brother, John J. Sargent, is buried at Oaklawn Memorial Gardens in the garden of Sermon on the Mount, Lot 45D, Grave 3, and that’s been re-confirmed in recent days by that cemetery. I think you have the makings of quite a story here, but only if you go back to square one — perhaps a more apropos phrase would be “plot one” — to pull the facts from what’s become a cauldron of misinformation, thanks largely to local newspaper coverage where at least one feature writer failed miserably in fact-checking the credibility or integrity of his primary source.. It was wise of you to remove the tell-tale word suggesting the publicity-seeker was a DAR member. In fact, I’m not so sure the $3,400 cited as coming from DAR members actual did come from them. It might be interesting to see what the local DAR chapter has to say about it, and I do believe their records on lineage, etc. are well-worthy of respect. 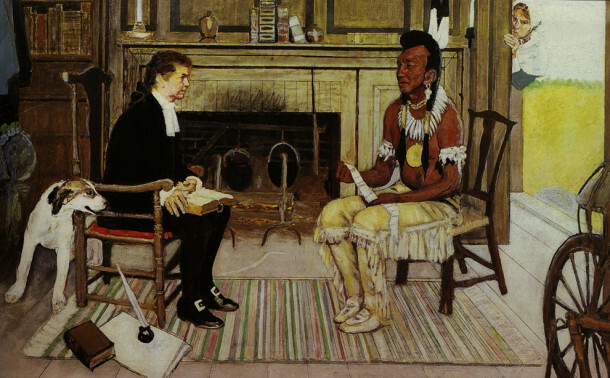 As for the Sargents (of only secondary interest in your pursuit, I realize), family members don’t believe there’s any tie whatsoever to the Massachusetts missionary “Sargeant,” apparently depicted by Norman Rockwell in his unfinished painting. We believe that was the publicity -seeker’s wishful thinking, however crazed or distorted. Referring to the Sargents as “prominent land-owners” also sounds a bit pretentious, and they might more accurately be described as well-established and respected Castleton area farmers who for decades raised crops and livestock on their acreage along Sargent Road and higher on the hills of 82nd Street. Walter was a Republican precinct committeeman. John, a well-known ham-radio buff, kept a two-seater airplane in a makeshift hangar on one of Walter’s cornfields, which also supplied runway space. Best of luck if you pursue the quest on origins of this mystery cemetery. And one final point: The “John SARgeant” of Stockbridge, Massachusetts referred to on the Bacon memorial plaque also greatly misleads … in all likelihood by design of the self-proclaimed “designer.” . John SERgeant (1710 – July 27, 1749), an American missionary in Stockbridge, Massachusetts, has been credited with converting many Mahicans to Christianity. The man known as “Reverend Sergeant” was a graduate of Yale, becoming an ordained Puritan minister. He helped establish a day school at what became Stockbridge, and before his death at age 39, laid groundwork for a boarding school. Our family does not believe that our warmly remembered John Sargent of Castleton, Ind. is in any way the direct ancestor or “great, great, great grandson” of “John SARgeant , as stated on the plaque … or of the correctly known John SERgeant of Massachusetts. The plaque perpetrators couldn’t even get that name right, unless of course, they were trying to create a Sargeant bridge of obfuscation, linking Sergeant to Sargent.. The plaque’s wrongful statement that the “Sargeant” name is memorialized by Sargent Road and the modern-name residential names is beyond laughable when examining the facts. Sargent Road, quite simply, was named for the hard-working farmers who toiled along that road from the late 1800s onward through the mid-1900s — nothing more and nothing less. I appreciate your continued interest. I certainly want what is written on this site to be factual in addition to entertaining. When I can speak to the author of the Indianapolis Star article that I did, in fact, partially use as reference, I will take steps to make this particular post more on point. Great job documenting this sad story. Regarding the plaque shown, can anyone tell me where Sargent Airport was? I’ve never heard of it. I assume it was a private grass airstrip along Sargent Road. There’s no reference to it on the internet. Thanks! Sargent Airport? Didn’t know there was any such thing. Where did you hear about that? John Sargent kept his plane in a small hangar (more like a lean-to) in a cornfield owned by his older brother Walter Sargent, my dad Karl Sargent’s father. The field with the hangar stretched along 82nd Street, across from Walter’s farmhouse, which still stands today, along with a barn and garage. Adjacent fields have been developed for residential use. Hope this helps. The plaque says Sargent Airport in northeast Indianapolis. ? There is no Sargent Airport unless they are referring to the little bumpy rock riddled two track landing strip that my great-uncle John Sargent had adjacent to my grand-father, Walter Sargent’s corn field. The landing strip was east of Sargent Rd. on 82nd Street, on the north side of the street at the edge of a cornfield. The only landmark still there is a huge old oak tree which was just east of the landing strip. My grandfather’s farm house is farther down the road and is still standing at 9565 E. 82nd. St. There are a lot of inaccurate if not completely untrue “facts” on the Bacon Cemetery Dickerson-Sargent Memorial. As is frequently the case with signs and plaques. Thanks for the input. That little cemetery is perhaps the biggest historical landmark on Keystone left from the early days and is hidden right under every ones nose. First off, The reason most of the stones are gone, is because of a widening project on Keystone Ave. They were bulldozed and dumped near Rural on the “sly” by contractors who flat didn’t give a dang. That is the reason bones were found near Rural. The cemetery was never big and is not under the neighborhood houses. There were about 10-15 stones there as I remember. The reason the cemetery never was large, is most people wanted to be buried in Union Chapel Cemetery. It was more of a family plot at Kessler and Keystone. What happened at this cemetery still goes on in Indiana, especially in Western, IN where coal mining takes over thousands of acres. Many little pioneer cemeterys have disappeared because of people who just don’t care and think no one else does either. This article spells it out clearly, No one cared for years until it was too late. People who lived nearby knew nothing about it. It just wasn’t worth their time. Most of the Old time Dawsons are buried at Union Chapel as are Butterfields, Culbertsons and a lot of other of the old time familys who lived along the Old “Fall Creek And White River Gravel Road” or what we know as Keystone Ave now. I have to add, Most of the graves were already up close to the sidewalk on Keystone when Keystone was widened and the cemetery was bulldozed. You have to remember Keystone was a two lane road at one time when the cemetery was new and the old two lane part was where the median is now. The cemetery was encroached upon slowly over the years as Keystone was widened. No cemetery was put right next to a road out of respect for the ones who were to rest in peace, not under the wheels of wagons let alone a modern highway. You say “as you remember”. Could you give me an idea around when that was? Hi I wanted to leave this comment for Phyllis… My best friend and I are currently renting the old Sargent farm house and we adrore it! I just glanced on the cellar wall and there’s a lot of history here, we would love to learn more if you have any to share! What a surprise to open my emails this morning and find this reply about the old Sargent home. I am so touched and happy that you are enjoying the farm house. It is a very special place. I am always worried that someday it will be destroyed or even simply have the cellar wall painted covering the little historical comments. My mother, Rosemary, wrote the first one when she was very young. I was able to visit the old place in 2011 and the currant renter allowed me inside. It was wonderful and I completely broke down when we went into the cellar. Strange how time changes things, I use to be terrified of that part of the house but now it is one part that has not been changed at all and still smells the same, flooding in memories of a family and farm I deeply loved. I would love to share information with you, not sure how we go about getting personal information to each other via this route. Maybe Ryan could intervene and give you my personal email. For now send me back another comment. I live in northeastern Nevada, Elko/Spring Creek. If I get your email I can send you pictures and some historical information. Thanks so much for contacting me.